Offering you a complete choice of products which include ledifos 90mg/400mg tablets, sofovir 400mg tablets, sofab 400mg tablets, hepcinat lp tablets, tenvir 300mg tablets and sofovir 400mg sofosbuvir tablets. 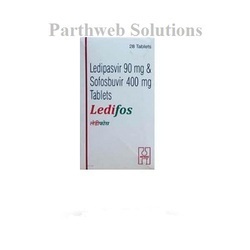 Ledifos 90mg/400mg tablet is used to treat chronic hepatitis C virus infection. It lowers the load of hepatitis C virus in the body and removes the virus from the blood. 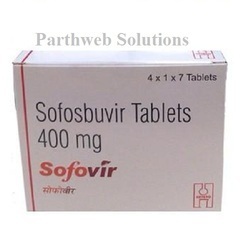 Sofovir 400mg tablet is used to treat chronic Hepatitis C virus infection. It lowers the load of hepatitis C virus in the body and removes the virus from the blood. 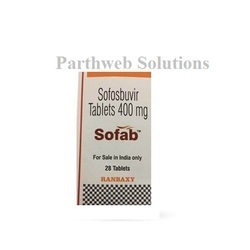 Sofab 400mg tablet is used to treat chronic Hepatitis C virus infection. It lowers the load of hepatitis C virus in the body and removes the virus from the blood. 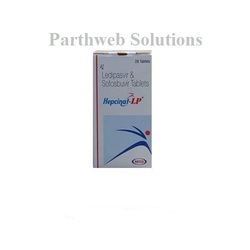 Hepcinat LP tablet is used to treat chronic hepatitis C virus infection. It lowers the load of hepatitis C virus in the body and removes the virus from the blood. 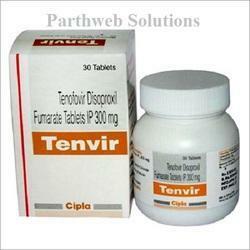 Tenvir 300mg tablet is used to treat chronic hepatitis B virus infection. 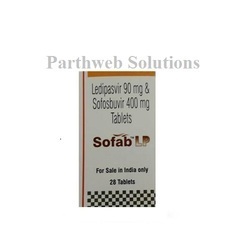 Velasof 400mg/100mg tablet is used to treat chronic hepatitis C virus infection. It lowers the load of hepatitis C virus in the body and removes the virus from the blood. Brand Mylan Pharmaceuticals Pvt. 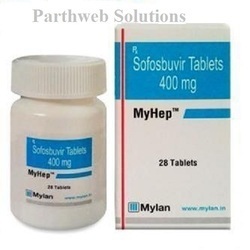 Ltd..
MyHep 400mg tablet is used to treat chronic hepatitis C virus infection. It lowers the load of hepatitis C virus in the body and removes the virus from the blood. 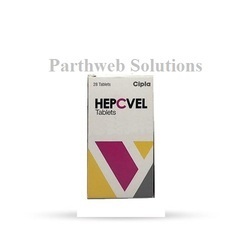 Hepcivir L 90mg/400mg tablet is used to treat chronic hepatitis C virus infection. It lowers the load of hepatitis C virus in the body and removes the virus from the blood. Virpas 90mg/400mg tablet is used to treat chronic hepatitis C virus infection. It lowers the load of hepatitis C virus in the body and removes the virus from the blood. 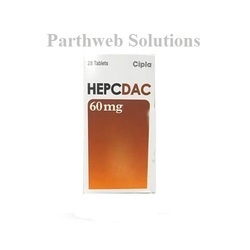 Hepcdac 60mg tablet is used to treat chronic hepatitis C virus infection. It lowers the load of hepatitis C virus in the body and removes the virus from the blood. 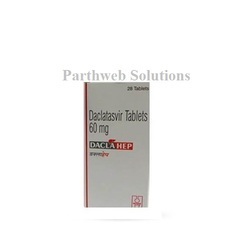 Dactovin 60mg tablet is used to treat chronic hepatitis C virus infection. It lowers the load of hepatitis C virus in the body and removes the virus from the blood. 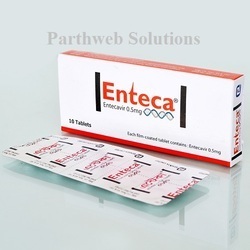 Enteca 0.5mg tablet is used to treat chronic hepatitis B virus infection. 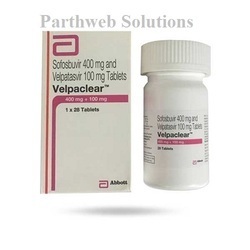 Velpaclear 100mg/400mg tablet is used to treat chronic hepatitis C virus infection. It lowers the load of hepatitis C virus in the body and removes the virus from the blood. 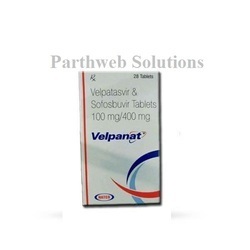 Velpanat 400mg/100mg tablet is used to treat chronic hepatitis C virus infection. It lowers the load of hepatitis C virus in the body and removes the virus from the blood. 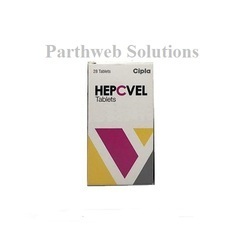 Hepcvel 400mg/100mg tablet is used to treat chronic hepatitis C virus infection. It lowers the load of hepatitis C virus in the body and removes the virus from the blood. 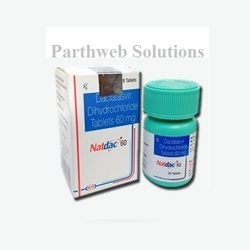 Natdac 60mg tablet is used to treat chronic Hepatitis C virus infection. It lowers the load of hepatitis C virus in the body and removes the virus from the blood. 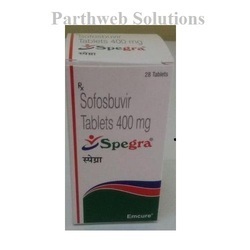 Spegra 400mg tablet is used to treat chronic Hepatitis C virus infection. It lowers the load of hepatitis C virus in the body and removes the virus from the blood. 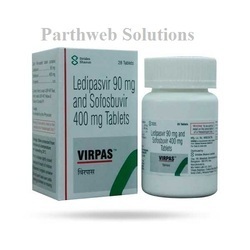 Hepcvir L 90mg/400mg tablet is used to treat chronic Hepatitis C virus infection. It lowers the load of hepatitis C virus in the body and removes the virus from the blood. 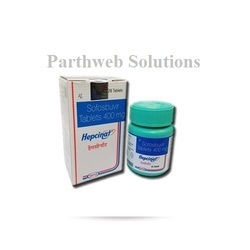 Hepcinat 400mg tablet is used to treat chronic Hepatitis C virus infection. It lowers the load of hepatitis C virus in the body and removes the virus from the blood. 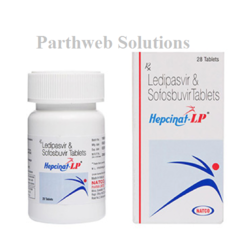 Hepcvir 400mg tablet is used to treat chronic Hepatitis C virus infection. It lowers the load of hepatitis C virus in the body and removes the virus from the body. 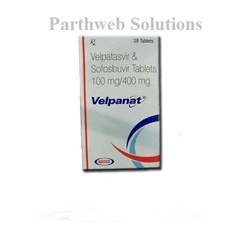 Velpanat 400mg/100mg tablet is used to treat chronic Hepatitis C virus infection. It lowers the load of hepatitis C virus in the body and removes the virus from the body. Hepcvel 400mg/100mg tablet is used to treat chronic Hepatitis C virus infection. It lowers the load of virus in the body and removes the virus from the blood. Tafnat 25mg tablet is used to treat chronic Hepatitis C virus infection. It lowers the load of virus in the body and removes the virus from the blood. 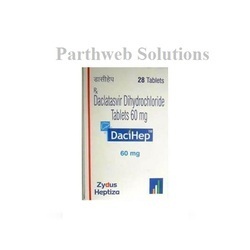 Dacihep 60mg tablet is used to treat chronic Hepatitis C virus infection. It lowers the load of hepatitis C virus in the body and removes the virus from the blood. 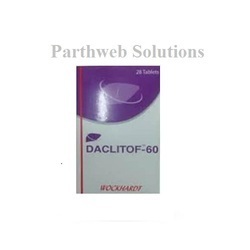 Daclitof 60mg tablet is used to treat chronic Hepatitis C virus infection. It lowers the load of hepatitis C virus in the body and removes the virus from the blood. 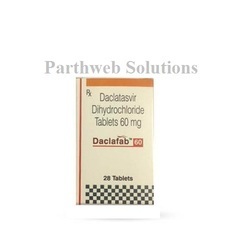 Daclafab 60mg tablet is used to treat chronic Hepatitis C virus infection. It lowers the load of hepatitis C virus in the body and removes the virus from the blood. 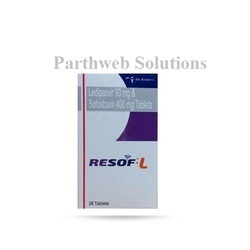 Resof-L tablet is used to treat chronic Hepatitis C virus infection. It lowers the load of hepatitis C virus in the body and removes the virus from the blood. 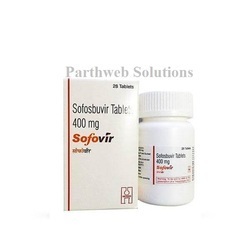 Sofab-LP tablet is used to treat chronic Hepatitis C virus infection. It lowers the load of hepatitis C virus in the body and removes the virus from the blood. 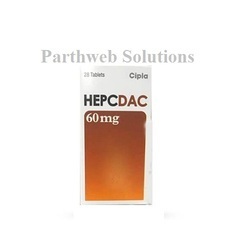 Daclahep 60mg tablet is used to treat chronic Hepatitis C virus infection. It lowers the load of virus in the body and removes the virus from the blood. 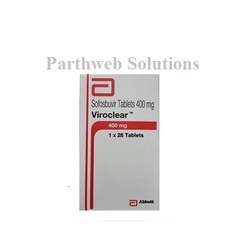 Viroclear 400mg tablet is used to treat chronic Hepatitis C virus infection. It lowers the load of virus in the body and removes the virus from the blood. 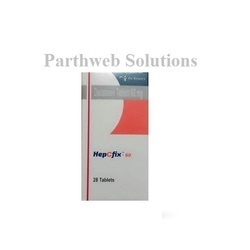 Hepcfix 60mg tablet is used to treat chronic Hepatitis C virus infection. It lowers the load of hepatitis C virus in the body and removes the virus from the blood. 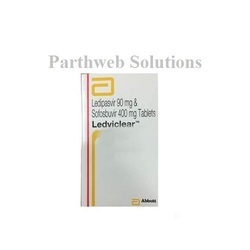 Ledviclear 90mg/400mg tablet is used to treat chronic Hepatitis C virus infection. It lowers the load of hepatitis C virus in the body and removes the virus from the blood. 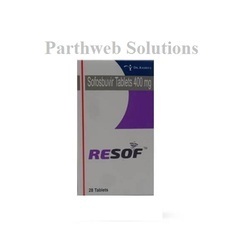 Resof 400mg tablet is used to treat chronic Hepatitis C virus infection. It lowers the load of hepatitis C virus in the body and removes the virus from the blood.